The role of a University is not only about gathering knowledge alone, but also as a whole evolving the system to produce more intelligent and skilful human beings for an intellectual world. Accordingly, humanity as a whole and Sri Lanka particularly has become conscious of the era we live in as the age of information or the age of knowledge. Thus, human beings subjected to ignorance will definitely be freed through knowledge gained through a sense of wholeness and richness of knowledge exploring the outer world. Accordingly, the University of Kelaniya, approached a long felt need of imparting cognitive, emotional and spiritual dimensions of intelligence to Sri Lankan students in 1959. Graduates produced by Kelaniya, being cognitive and analytical in thinking have shown their skills in Sri Lanka and equally well in foreign countries. 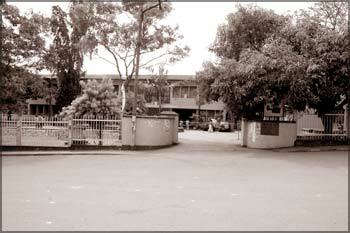 University of Kelaniya which supplies food for intelligence, commemorates its 50th anniversary on June 17, 2009. Vice Chancellor, Prof. Sarath Amunugama expressed his views at the anniversary celebrations of the University of Kelaniya; that it would never dissociate its origin from that prestigious education destination, Vidyalankara Pirivena, but render a prominent place in its all the activities and march forward. Founded in 1875, by Ven. Ratmalane Sri Dharmaloka Thera, Vidyalankara Pirivena gave due place to language, religion and literature at a time of their degradation. Intellectuals like Ven. Ratmalane Sri Dharmarama Thera, Don Baron Jayathilake, Mudaliar Palis Fernando Wimalagunawardena, Nicholas Artigala were equipped with knowledge and aptitude as products of Vidyalankara. Therefore, the fame of Vidyalankara is echoed not only in Sri Lanka but also in foreign countries. Vidyalankara Pirivena was renowned for freedom of thinking and scholarship, as a result of which intellectuals were produced for two centuries, while many intellectuals from China, Thailand were trained by the Vidyalankara Pirivena. Founded in 1959, Kelaniya University stands remarkably outstanding for the service it renders to Sri Lankan students. Over 8,000 undergraduates are studying on campus within its five faculties namely Social Sciences, Humanities, Science, Commerce and Management, Medical and 45 departments while 5,400 students are reading for their postgraduate degrees in the faculty of graduate studies. More than 40,000 students are registered for their undergraduate degrees at the Centre for Open and Distance Learning (external degree programs) in the University of Kelaniya. 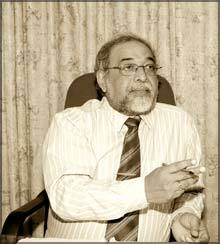 University of Kelaniya stands much above other universities where it operates a unique calendar of studies except for the Medical Faculty. After having established the course unit system, an inter-faculty curriculum came into effect, which has broadened opportunities where a student from Social Sciences Faculty is encouraged to offer course units in other faculties of Science or Commerce and Management as well. Then, they can excel in a variety of fields which will make it easy for them to gain employment. A "Shasthriya" education too is added to students while enhancing their communication and IT skills. The Vice Chancellor explained that the aim of studies, is to deliver a higher-learning opportunity while moulding graduates well aware of world's situation to face the future by attending Vidyalankara tradition. University of Kelaniya is distinctive for classical education, delivered in Pali, Sanskrit and in Sinhala. Eight foreign languages are being taught by both local and foreign tutors. Together with the Postgraduate Institute of Pali and Buddhist Studies in Colombo, the University of Kelaniya excels in religious studies in Pali Buddhism and Christian studies. Industrial Management, Environmental Studies and Microbiology courses are unique to the University of Kelaniya while Library and Information Sciences can be offered in undergraduate, postgraduate and diploma level studies in the Social Sciences Faculty. Moreover, Peace and Conflict Resolution and Sports Science and Management courses too are available. In recent years, many improvements are made in the Faculty of Medicine, in which a Speech Therapy course is being conducted. A Haemophilia and Thalassaemia Paediatric unit and a Molecular Biology Investigation Unit were also inaugurated. Two Postgraduate Institutes namely Pali and Buddhist Studies and the Postgraduate Institute of Archaeology are attached to the university while the Gampaha Wickramarachchi Ayurveda Institute, functions under the University of Kelaniya, a bachelor's degree in Naval studies conducted by the Naval and Maritime Academy in Trincomalee, Postgraduate Diploma in Defence Management conducted by Sri Lanka Air Force, Bachelor of Science degree in Aviation conducted by Air Force Academy of China Bay, Trincomalee, Master of Defence degree conducted by Army Command and Staff College, Sapugaskanda have been accredited to University of Kelaniya. The Chancellor explained that giving accredition to studies related to forces will give them a value addition to the service they render.